Mary Gauthier is a blues/folk singer-songwriter who specialises in writing touching, personal, honest and extremely beautiful songs. Drawn from a troubled background of adoption and addiction, as well as heartache and loss, Mary Gauthier’s music transcends her own experiences by crafting sublime songs that resonate with her wider audience. I first became aware of Mary Gauthier’s music a number of years ago whilst listening to late night radio – long time listener first time, nope still a listener. As part of my other life as a standup, I’m often subjected to late night drives home, with only the radio for company. Late night Radio 1 lets me down with too much of a reliance on crappy dance music, Smooth and Heart ain’t for me and no one needs Capital in their lives. That pretty much leaves BBC Radio 2 for music, and on one fateful night I switched on to hear the amazing Mary Gauthier singing ‘Blood is Blood’ courtesy of ‘Whispering’ Bob Harris. As soon as I arrived home I had to find out more about Mary and her music. Listening to ‘The Foundling’, Mary’s release at the time, it brought to mind the likes of Neil Young, Mark Lanegan and even Massive Attack – to my ears at least – but what struck me was how raw and honest her music was, as well as having incredibly well crafted songs – everything had genuine heart and soul. Her follow up ‘Trouble and Love’ was equally brilliant and she’s quickly become one of my favourite solo artists, so it was an honour when Mary agreed to an interview with Velvet Sheep. VS: On your first album there’s a hint stylistically of what’s to come on ‘Goddamn HIV’ but otherwise it feels very different from where you are now. 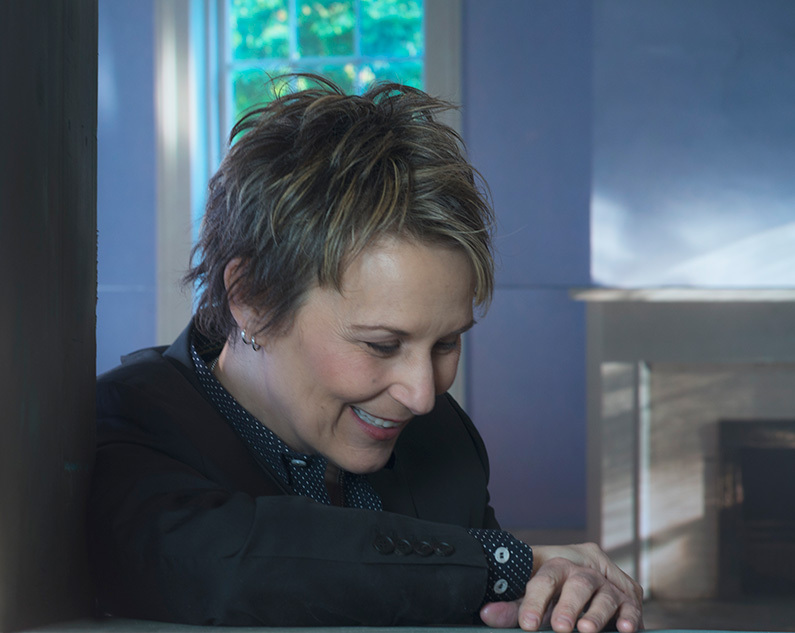 Mary Gauthier: On my first record I had not yet found my own voice. I was looking for it. I made that record before I’d ever even played a live show. ‘Goddamn HIV’ is the one song from that record that I still play, it has that thing in it that I know is me. The other songs are in search of that thing. Finding your own voice as a songwriter is often a process, and for me, it took me till my second record to nail it down. VS: How did you get to release an album before playing a live show, and after the build up what was your first gig like? Mary: I was playing open mic’s around Boston and Cambridge, a single song, here and there. Wrote the songs for my first record ‘Dixie Kitchen’ to play at open mic. I eventually worked my way up to the “open mic feature”, which was a chance to play for twenty minutes. My first gig was a triple bill at Club Passim in Boston after ‘Dixie Kitchen’ came out, and we each played 25 minutes. The crazy way my career went was that when my second record came out, I got invited to 12 folk festivals, including Newport. I had no clue what to do, but my producer Crit Harmon put a band together for me and helped me. I was in way over my head, 38 years old, and still working in a restaurant. I figured after all that excitement, I’d have a music career, but NO… I had no fan base. It took another 4 years, and another record for me to be able to quit the restaurant. It’s been anything but predictable! I continue to have a weird career, now I have a book deal from Yale University to write about songwriting. I love it! VS: Did you ever feel that you had be a certain kind of song writer to get gigs or obtain a deal? Mary: I’ve never had to write a certain way for a record company, no, not at all. Everyone I’ve worked with has let me say what I wanted to say. VS: Your music is folk and blues influenced, but there’s a country influence there too – has this aided your ability as a storyteller? Mary: I’ve never really been a country music singer… some of my songs might work there, but my voice just doesn’t. I’m not that kind of singer. I feel more at home outside the country box, where I can wander freely. Folk and blues suits me better as a singer. I have great respect for the Country genre though, especially the stuff from the 70’s. VS: ‘Blood is Blood’ and ‘March 11, 1962’ from 2010’s ‘The Foundling’ are two of the most honest, personal and emotive songs I’ve ever heard. How did you get to the point where you felt able to write and release songs this open? Mary: Those songs are about adoption trauma, and they took me a lifetime to get to. John Lennon’s song Mother gave me the courage to let loose on them and write my truth. VS: It must be difficult to perform them night after night? Mary: I never perform them anymore. I played the whole record live for a year, then I put it down. I needed to do it then, but it’s done. VS: When I listen to some young singer-songwriters I sometimes wish I could grab them and point them at ‘The Foundling’ album and say “This is how you do it, this is how you write songs that mean something!” What’s your advice for young songwriters? Mary: Tell the truth, even if your voice shakes. Everything else is static on the radio. VS: To get to that truth do you feel you need to open your wounds to write your best music, or does your music take you there? Mary: I think music is what feelings sound like. Music is about all human emotion, and the important thing for a songwriter is to know is that its best write about what your really care about. If you care about it enough, other people will care too. VS: That’s the great thing about your music, people do care and it completely transcends the gap between your own background and that of the listener. Is this something you strive for? Mary: Go down deep enough, past the personal, and you’ll hit the universal. The art is the digging. It’s what great songwriters do over and over again. VS: What about your influences? For me your music, intentionally or not, has hints of artists like Neil Young, Crazy Horse, Mark Lanegan, Johnny Cash, Beth Orton and The Rolling Stones. Which artists have influenced you that we wouldn’t expect? Mary: Bowie. Hank Williams. Stephen Foster. Lou Reed. Ferron. Patti Smith. Kristofferson. Tom Waits. VS: Do you have any famous fans who’ve surprised you? Mary: Stephen King tweeted me, Boy George too. Those were very good days. VS: There’s actually an infamous episode of the A-Team where English singer Boy George is booked to play to a violently unreceptive redneck audience, but manages to turn the audience around with his music. Have you ever had a similar experience, where your music converted an audience who initially weren’t willing to listen? Mary: The Grand Old Opry, six times and counting…. VS: It’s well known that you didn’t write your first song until you were in your mid-30s, which is brilliant. How do you think your life would have been different if you’d had musical success in your teens or 20s? Mary: I would have written some awful stuff. I was not sober yet, and lemme tell you, it would have been a musical train wreck. Glad I was unable to do it! VS: A lot of people who do find musical success in their 20s seem to burn out after a few albums, or get dropped by their record label. Do you think starting later has given you more longevity? Mary: It’s given me wisdom. I saw from the very beginning that the music business was about having the songs. Great songs keep you in business. VS: You wrote 35 songs for ‘Trouble & Love’ but only 8 made the cut because you were “walking too close to the fire”. How hard to was it to axe those songs and will we ever get to hear them? Mary: They are too heavy handed. They’re not universal enough, they don’t go deep enough. In retrospect, I was hurt, and should have waited a while longer before I began writing. But no harm done, those songs won’t be released. VS: I’d love to hear them but I totally respect that decision. You’re currently writing a book about song writing and the creative process. What’s more challenging, writing a song or trying to document the process? Mary: The book is hard because its long form. Songs are hard because they are short form. The moral of this answer is that writing is hard. VS: Discussing creativity with other artists, many feel the conscious part of their brain doesn’t create their best work but it comes from another place, from within their sub-conscious. Does this resonate with you? Mary: Absolutely! The good stuff comes up from the depths. Harlan Howard used to say he didn’t write the songs, he just wrote them down. There’s truth in that. VS: Finally, what tastes better: Dixie chicken or the Dixie Kitchen? Mary: Dixie Kitchen, my restaurant for 10 years, was my baby till I fell in love with songwriting. Once I took on a new love….it was time to move on.